Your request has been successfully submitted and we will get in touch with you in next 24-hours. Error while submitting message ! 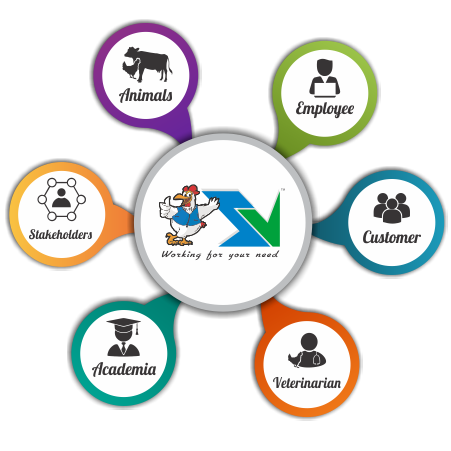 Saife Vetmed is a team of young professionals, whose collective motto is to contribute in the development of animal health care sector through sharing existing knowledge/ technology/ services with those in need of it. The endeavor of group is to explore the opportunities available or work on it to render it suitable for everyone through research & innovation. The group also aspires to contribute actively in customer education, distant learning programs for stakeholders and Digitalizing the animal production system. © 2018 Copyright: Saife Vetmed Pvt. Ltd.